Our rentals include lens, viewfinder, tripod, tripod plate and power at one low price. 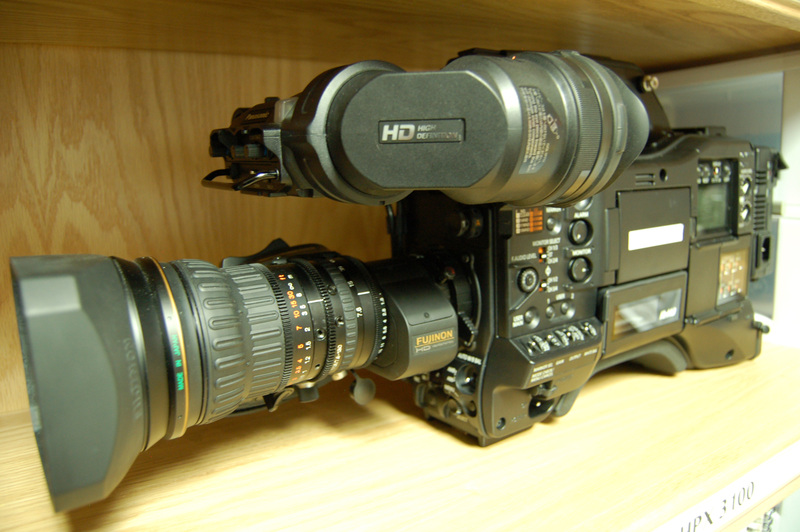 The HPX3100 is what we consider the best mix between value and great performance in HD camera rentals. 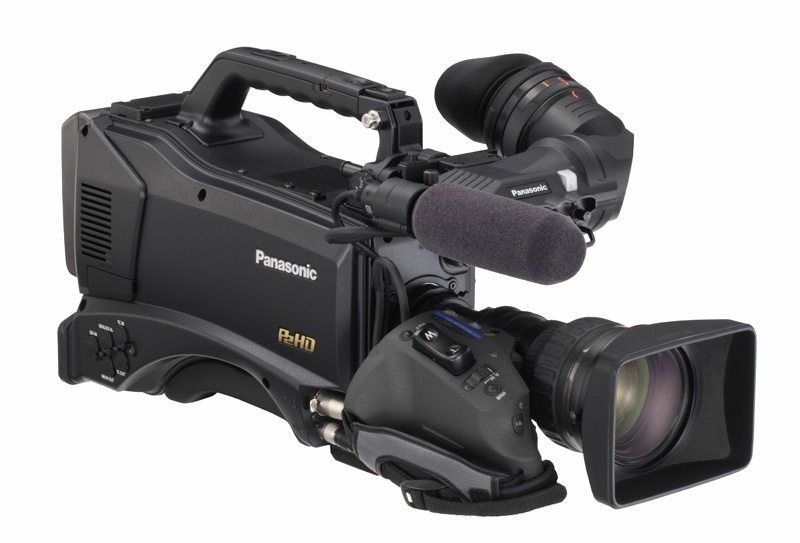 It’s Panasonic’s most compact 2/3″ P2 HD camcorder. 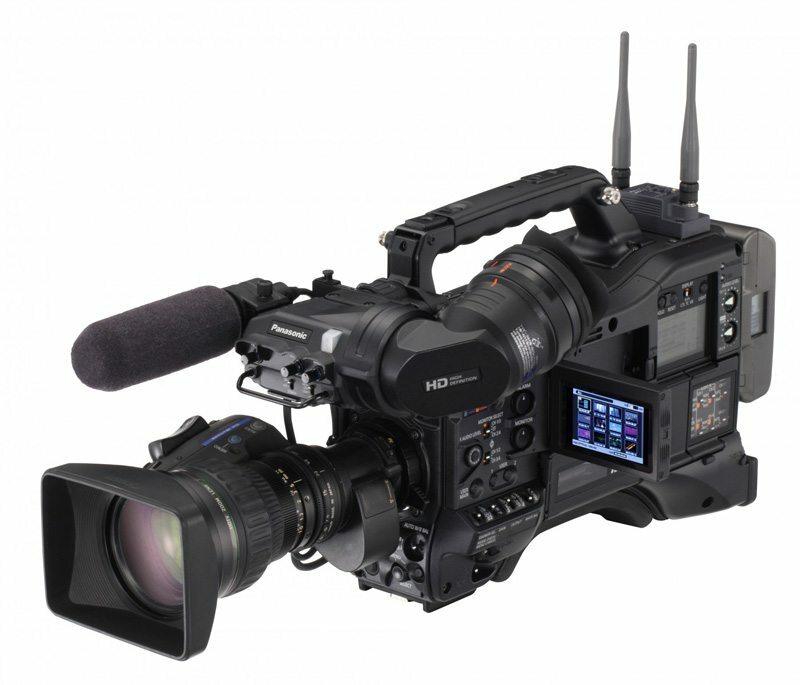 When we saw it at NAB we knew it was a great piece of equipment for our HD live webcasts and location shoots that require shooting in a wide range of settings. The HPX 3100 camera features three 2/3″ high density 2.2 million pixel CCDs. Add to that the HPX3100 full-raster 1920 x 1080 resolution and it’s 4:2:2 10-bit sampling using the AVC-Intra codec, and you have top performance. Offering a new compact size (similar to our ICV HPX370 rental cameras) for added mobility, the two P2 slot camcorder records in multiple worldwide formats, in HD, in AVC-Intra and in DVCPRO HD at 1080 in 24p, 25p, 30p, 50i and 60i, and in SD (480i/586i) in DVCPRO50, DVCPRO and DV. We talk all the time about how great the AVC-Intra codec is. You have to try using this in your HD production workflow at least once. The AVC Intra-frame video codec with bit rates of 50 and 100 Mbps is the industry’s most advanced compression technology. It utilizes the High-10 and High-422 profiles of H.264 respectively. AVC-Intra provides high-quality 10-bit intra-frame encoding in two modes: AVC-Intra 100 for full-raster mastering video quality, and AVC-Intra 50 Mbps for DVCPRO HD quality at half the bit rate, thereby doubling the record time on a P2 card. That’s a real bonus for footage that will be encoded for the web or DVD. Designed for scripted programming, documentary, nature, cinema and commercial production, the master-quality HPX3100 offers 24-bit audio in AVC-Intra 100/50, wireless metadata input capability via wireless LAN, and a high-quality proxy recording. The HPX3100 is equipped with six advanced gamma settings, including Film-Rec 600% mode (made popular by the well loved VariCam), film-like shutter controls, and intuitive film camera-like operation. It also features a built-in reverse scan that allows unique setups such as mounting the camera upside down or usage of an ultra prime lens or an anamorphic lens adapter to create a 2.35:1 aspect image. We can’t say enough about the capabilities of the HPX 3100. Come by our video studio and see it in action. Remember, our rental day rates include lens, viewfinder, tripod, tripod plate and power at one low price.